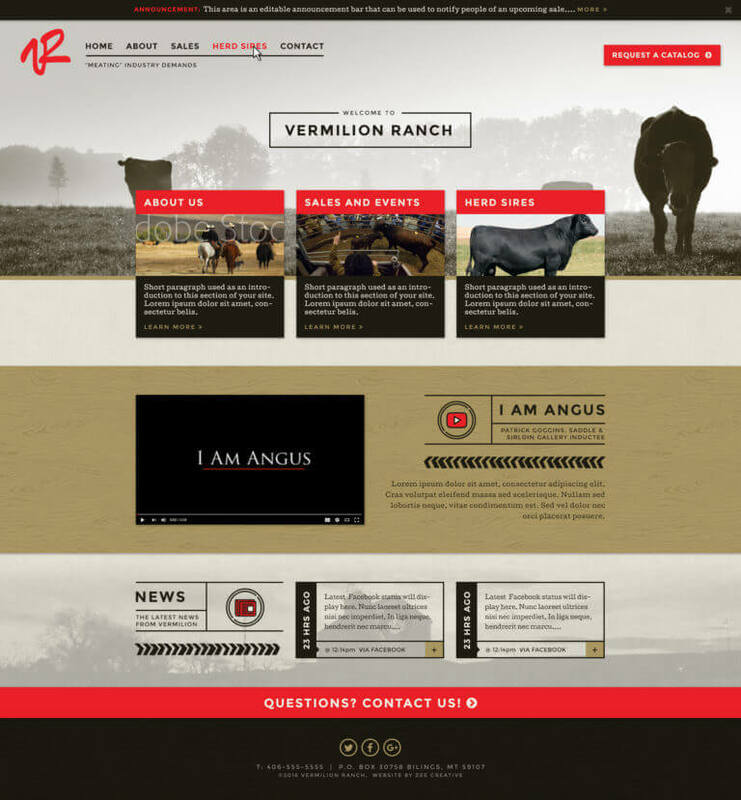 This design allows cattle sale businesses to easily list sire information, sales, and more. These websites are designed to work perfectly for cattle sales. We created a custom listing system for cattle sales & sire information with fields for all important details: images, dates, cattle details, etc. The listings are displayed in a custom format that’s simple for your site visitors to browse. Since these sites are built with WordPress, you’ll have access to the WordPress CMS, which allows you to update the content on your website without any coding knowledge. You can add, update or remove information as often as you need to. And, as with all our WordPress websites, custom design time is included. We’ll work with you to create a design that suits your brand. Cattle Sales Listings: Easy to set up and manage cattle listings include featured image, sale description, sale category, brochure, sale date and more. Sire Listings: Cattle sire listings include featured image, description, cattle details such as production, maternal, carcass, pedigree and more. Additional standard pages can be added as needed.